There are over 25 free family events and activities in the North East this April which include the Easter school holidays and Easter Bank holidays. 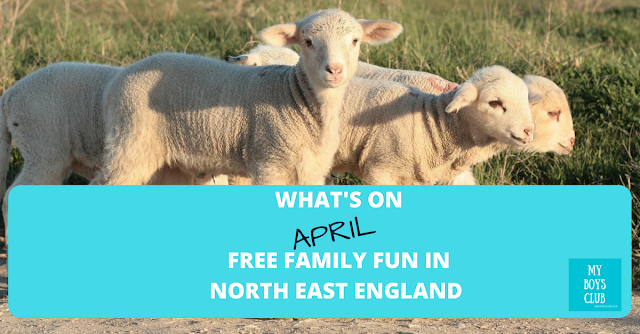 So with 30 days, five full weekends, as well as two weeks of school holidays, there should be plenty of time in April to enjoy some quality family events and activities. Infinity Play is an interactive art exhibition at BALTIC on Gateshead Quays that encourages young and old to play by their own rules. It has been created by artists Pester & Rossi and a group of collaborators to make, break and re-make the rules of play. Enjoy up to eight live action stations and big, fun, colourful inflatables across BALTIC’s largest gallery space, and take part in activities where you can watch, listen, explore, improvise and play. Open daily there is also a series of free artist-led workshops, events and performances, suitable for all ages and abilities. The events will take place in the Level 4 gallery space, no booking required. Quayside Seaside is back for 2018 as one of NewcastleGateshead’s most iconic spaces is transformed into a seaside paradise complete with deckchairs, palm trees, candy-striped beach huts, golden sand and a kids' climbing wall. A new addition to the Quayside Seaside for 2018 is a playground area equipped with a slide and a fireman’s pole, which is sure to be a big hit with children aged between 3-7 years. Kick back, relax and while away a summer’s day in this city centre oasis. A monstrous exhibition is coming your way! 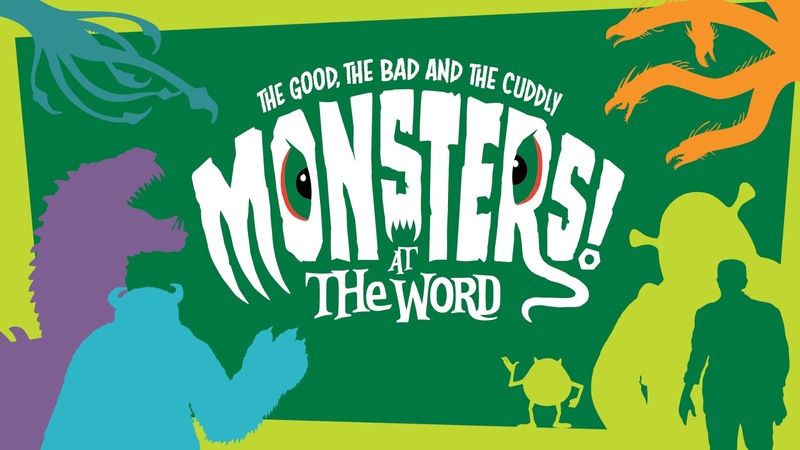 Monsters come in all shapes and sizes and you can find out about them all at this monster-tastic new exhibition at The Word. Whatever ‘monster’ means to you, from those written about in early mythology to the creatures digitally created by Pixar and Disney, you will be amazed by their ability to capture our imagination throughout the ages. Meet Boris Karloff’s classic movie monster in Dr. Frankenstein’s lab, see what it feels like to be held by King Kong and take a selfie with Sulley from Monsters Inc. You can read about children’s favourites such as the Gruffalo and Shrek and be reminded of the monsters from Hollywood’s golden age: Dracula, Wolf Man and the Mummy. This year’s event will once again centre around a traditional egg rolling competition in the Amphitheatre at Herrington Country Park. Other free activities will include a craft market, live music and a range of traditional children’s games. All children aged eleven and under are welcome to take part in the egg roll which will be opened by The Right Worshipful Mayor of the City of Sunderland. Please come along with your pre-decorated hard boiled egg clearly marked with your child's name and age. The bowl will begin with the age 3 and under category and work up through the age groups. Please note that filming and photography will be taking place throughout the event. This is a free event, but please pre-register your place so they can manage numbers on the day. As it reopens for the 2018 season, come along and meet members of Cohors Quinta Gallorum, the auxiliary unit that garrisoned to the Fort in the third century. 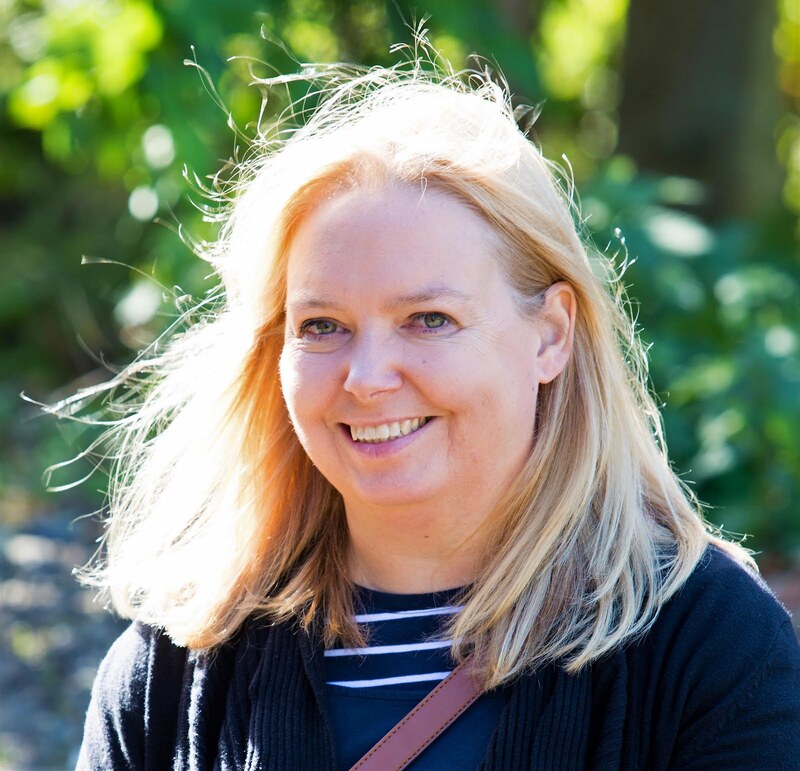 The group are part of the Arbeia Society who research, reconstruct and display all aspects of military and civilian life in early third century Britain. They'll have some of their weapons and armour on display and will be demonstrating the training that would be undertaken regularly by Roman Soldiers. They may even let visitors try throwing a javelin. There's something for everyone at this 10-day Easter sale. 12,000 high quality new and used books that include all academic subjects and leisure interests plus children's books, art, cookery, fiction, nature, adventure and travel, religion, music, poetry, drama, and humour. All are available at bargain prices and many are just 50p. All proceeds to DPET which, in partnership with Durham University, finances Masters Degree scholarships for outstanding Palestinian graduates at Durham University. Don your Doctor Who scarf and get your lightsaber at the ready. Embrace your inner geek and head down to South Shields Museum for the welcome return of the regular Easter Saturday sci-fair collectors event. Whether you're a Dr. Who fanatic or a Trekkie, there is something for all sci-fi fans with the usual range of fantastic dealers for toys, gifts, jewellery and more. Ride on the Easter Eggspress, visit the museum to explore the collection of vintage engines, and take part in the Easter egg trail. Solve all the clues and win a mini chocolate egg prize and enjoy Easter-themed treats in the Waggonway Tea Room. A Roman market, gladiators displays and more. Everybody loves a festival and the Romans were no exception. As well as browsing the Roman market, you can witness gladiators doing battle, have go at archery or get involved in the hands-on craft activities all from historical tents. What do you think of when you hear the word spring? Daffodils, bluebells, blossom, lambs, rabbits, chicks… Whatever springs to mind, join the ERIC North East team to create your spring inspired design in foam using different mark making tools. Then using a range of coloured inks, print out your design onto paper, and take it home to keep. Join in and play giant versions of dominoes, Connect 4 and Jenga. Family activities inspired by the museum's stories. Join in with activities and crafts, inspired by the objects and stories within our galleries, exhibitions and collections. Taking inspiration from the animals in our Bones exhibition we will be creating paintings using apples to create crabs crawling along the sand. Inspired by the new exhibition The Heart of the Matter, meet a cardiologist and specialist cardiology nurse from the Freeman Hospital as well as artist Sofie Layton and bio-engineer Dr Giovanni Biglino. Find out how each of them works with this extraordinary and complex organ - the human heart. Head to Manor Walks, Cramlington to listen to some well-loved tales that have captivated generations of readers! On Wednesday 4th April, fans of Beatrix Potter's mischievous hero can see Peter Rabbit during story time sessions, led by a narrator, in the Centre Mall outside Boots at 11am, 12noon, 1.30pm, 2.30pm and 3.30pm. There will be opportunities to take photos of the iconic rabbit during the story time sessions. Tickets are FREE but must be reserved in advance at www.manorwalks.co. A limited number of spaces will also be available on the day on a first come first, served basis. It’s getting warmer outside, come and make some cool crafts. Suitable for under 8s. Free - just turn up. Learn about the use of 3D printing in heart diagnosis and treatment. Bioengineer and exhibition co-creator Dr Giovanni Biglino (Bristol Heart Institute and Great Ormond Street Hospital) will be available in The Heart of the Matter exhibition space to show models and talk about the use of 3D printing in heart diagnosis and treatment. Bring your youngsters to the museum to explore the collection of vintage engines. They’ll enjoy putting their creativity to the test with our craft activities and letting their imaginations run riot! Using natural materials have a go at making a mobile inspired by our wonderful engines. Suitable for 3 –7 year olds. 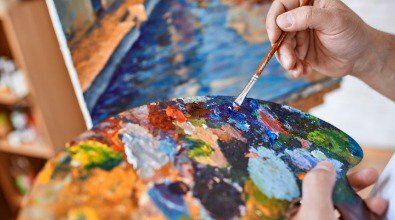 An exciting weekend packed with arts, crafts, food, and much more. Get up close 'n' personal with a variety of incredible invertebrates and other creepy crawlies, with expert Guy Tansley. You'll meet minibeasts and if you’re very brave, you may even get the chance to touch one. Please note - final animal handling sessions begin at 2.45pm. The activity will finish promptly at 3pm. Family activities inspired by the museum's stories. Join in with activities and crafts, inspired by the objects and stories within our galleries, exhibitions and collections. Using card, pipe cleaners, pom-poms, googly eyes and your imagination, you can make your very own animal finger puppets. Afterwards, try putting on a puppet show for friends and family. Bring your youngsters to the museum to explore the collection of vintage engines. They’ll enjoy putting their creativity to the test with our craft activities and letting their imaginations run riot! Steam not only powered engines but fairground rides too. Design and make your own wind powered miniature animal ride and watch it spin as you blow. Suitable for 3 –7 year olds. Warm up your dice and get ready for a challenge, join us to play some amazing vintage board games. Suitable for children of all ages. Free - just turn up. This year the Bishop Auckland Food Festival will stretch across the stunning marketplace in front of the town hall. With a fantastic range of delicious traders and producers, street food, bars, pop-up cafes and our top line up of celeb chefs the festival will be a great day out! The festival brings together traders and producers from across the region to sell their delicious treats. Soak up the atmosphere with live music and attractions and buy lots of goodies to take home too. 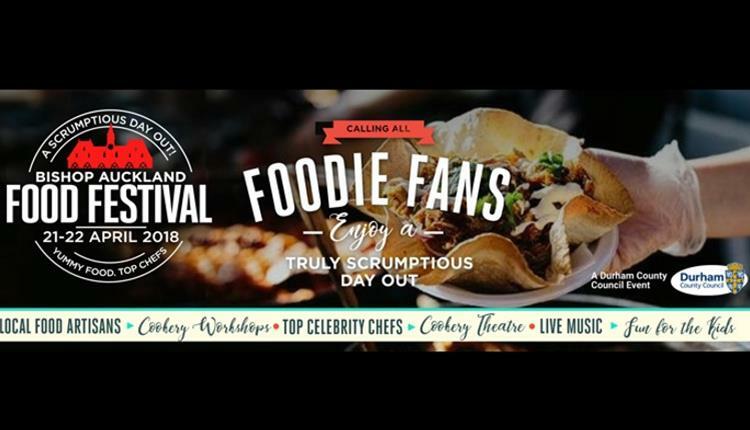 Make sure you bring your appetite as there will be stalls and bars offering food from around the world. All details are subject to change - please check with event organisers in advance! Hope you have a great April.